← What is a personal learning network and why do I need one? All of my prices are given in British pounds. Paypal will calculate the conversion into British pounds for you automatically. Why not have a look at my range of products and see whether any would help you? You can then use code birthday212 to receive £10 off a product of your choice. The code can be used once per person and it is valid until 31st December 2015. Training sessions are subject to availability. For you if you want a comprehensive course that looks at various aspects of business communication. A 12-module one-to-one course with exercises and practical activities. For you if you want to revise areas of grammar or you have questions on one or more topics. One-to-one training with 10 one-hour modules to choose from. You can do them all or design your own course. For you if you want to develop your writing skills. A 5 or 10-week challenge in which you will complete writing tasks independently and receive detailed, written feedback. For you if you want to learn on your own using my audio content. Courses on developing email-writing and networking skills. Each day you receive around 10 minutes of audio content and a web page with written information. English language and communication training. 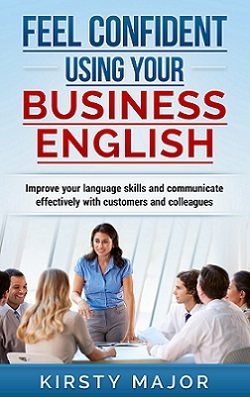 For you if you want to work on your speaking skills and confidence when speaking English. Customised, one-to-one language and communication training.